This option allows you to file a 1040 plus Schedules 1-6, which is better than some competitors’ free software packages. H&R Block’s interface is good-looking, straightforward and easy to use, plus there are handy tools like a W-2 photo import, which lets you avoid time spent keying in numbers from little boxes. Because the software is online, you can log in from other devices if you choose to work on your return here and there. Second is H&R Block’s Tax Pro Review, which offers a one-on-one review of your entire return with a tax pro who will go over your documents and check for accuracy and possible missed deductions or credits within three days; the tax pro will even sign and e-file your return for you. You communicate with the tax pro on-demand via a secured message center or arrange for a phone call if you prefer. Users of the Free edition can tack it on for $49.99; Deluxe users pay $79.99; and Premium and Self-Employed users pay $89.99. You can also buy the service as a standalone product for $119.99 plus $36.99 for every state return you file. 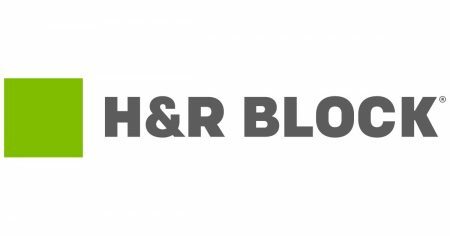 Not all of H&R Block’s tax pros are CPAs or enrolled agents, but the company says they undergo more than 60 hours of training and complete additional 30-plus hours of annual training to get ready each year for tax season; it also says the tax pros who help its online filers have 15 years of experience on average and get additional training specifically around the company’s online products. H&R Block offers online users a product called Worry-Free Audit Support. This gets you contact with an Enrolled Agent to help guide you through an audit. It includes IRS correspondence management, audit preparation and in-person audit representation. That runs $19.99.